Over the last few weeks, I've been coaching a number of salespeople from markets across the country on tactical things they can do within their sales processes to help them connect with a decision maker or decision influencer sooner to grow their new business. Many things can be done to accomplish this, but one that seems to be resonating with salespeople lately is identifying their target persona so they can clearly define WHO their target is and fine tune HOW they plan to approach a new business prospect. This is not a new strategy, just one that is often overlooked. Enhances your valid business reason by connecting your products or services to the needs of the prospect (because you know them from the target persona research). Helps tailor decisions in the sales process, like how to translate a valid business reason to a new business prospect. Guides methods of communications with a prospect. For example, whether you should use email, voicemail, a drop by, or a combination of all three, to connect with a decision maker. For example, a dentist may be more readily available around the lunch hour. If you stop by with treats for the staff, the gatekeeper may warm up to you faster, helping you get the connection you need to the decision maker. Assists in crafting the style in which salespeople present their valid business reasons. Should it be short and sweet, utilize bullets for quick review of high concepts, or provide details the prospect is likely already thinking about. On-the-go prospects may read an email on a mobile phone versus on a computer. For example, brevity might be vital if your prospect is a lawyer, physician, or home remodeling contractor, whereas a target persona in another industry might be looking for more in-depth details when reviewing your email. Guides needs analysis planning because the way in which people make buying decisions varies, and target persona research should reveal this information for you to utilize in this process. If you're looking for guidance, a few free resources you might consider are CrystalKnows.com and DataUSA.io. CrystalKnows.com allows you a limited number of profile searches for free. You may be surprised at what you could learn about the tendencies of a prospect, such as are they likely to be more relaxed in conversation or are they lily to be motivated by challenging ideas. DataUSA.io allows you to search industries and job titles to learn more about general target persona information. 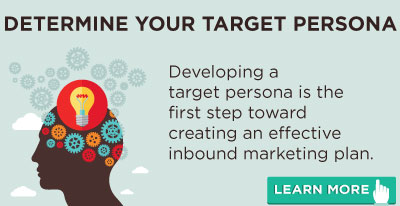 If you're a sales manager and would like to create a target persona document that your whole sales team can use, you can access MakeMyPersona by Hubspot to create compelling handouts for your team. This tool is great if you already know the data and details about your target persona and just want to create a document that hosts all of this information to clearly share the message with your team. If you and your team are starting from scratch, allow an agency that specializes in this process to do this for you and lead the target persona research, design and implementation. 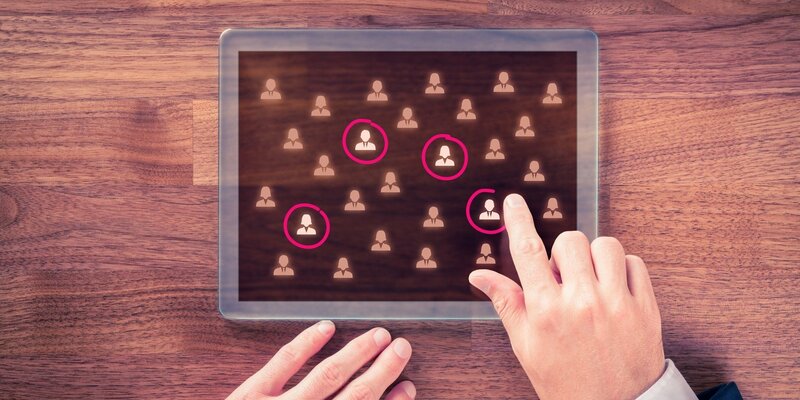 It's vital that you get this information right so there is a precise definition of who you or your sales team is targeting for new business prospects. A true target persona report is more than just looking at demographics and putting what you think you know on paper. The research process digs deep into psychographics and pairs this data with the demographics to communicate an accurate understanding of who the sales team should be targeting. 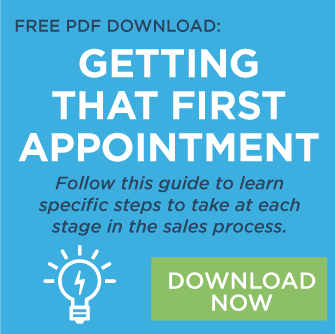 The more you prepare yourself in the sales process, the better. And the more you know about your target persona, the easier it is to craft and strategize a message that will help your new business prospects understand how you can help them because your message is focused on them and now just what you think they need.